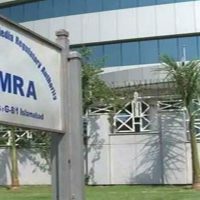 ISLAMABAD: The Pakistan Electronic Media Regulatory Authority [Pemra] has approved the grant of licences to new satellite TV channels through open bidding. The approval was given at a meeting on Monday. The authority approved two non-commercial FM radio licences for Punjab Food Authority (PFA), Lahore, and Beaconhouse National University (BNU), Lahore. The regulator reviewed the status of DTH licensing, which was under the process of security clearance by the agencies concerned. The meeting approved amendments to Pemra Television Broadcast Station Operations, 2012, and regulations regarding security clearance of directors/licencees of satellite TV channels. A request by Virtual University for renewal of its non-commercial satellite TV licence was approved subject to payment of revised fee. Pemra approved grant of one mobile TV licence to Ideation Ltd. Islamabad and two internet protocol TV distribution service licences for TES Media Ltd.